Here’s the thing: cops don’t get much in the way of mental health training. But that doesn’t change the fact that mental illness is a massive public health and safety crisis in a country where cops are frequently the ones to make contact with the mentally ill.
“That’s not out job! We’re not doctors or social workers” is frequently the outcry from police after a call involving a mentally ill person goes bad. But that’s essentially a recipe for preserving the current situation which hardly seems like a smart way to go, especially when you consider the fact that people suffering from mental illness represent 20 percent of those shot and killed by officers. Thankfully, where there’s a will, there’s usually a way. 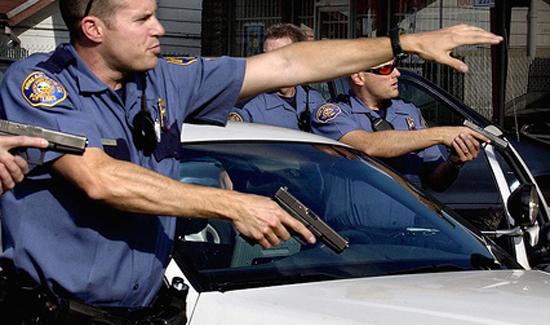 At the L.A. County Sheriff’s Department, deputies are getting better training. No, not as mental health care professionals or social workers—they’re simply getting the kind of instruction and experience that can make a critical difference in some of the most challenging calls. And that training is paying off, even if it’s likely to cause some friction between the tactical community and those that think about enforcement challenges from a wider perspective.